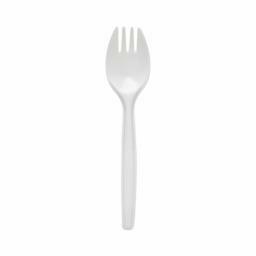 These White Plastic Dessert Spoons Forks are perfect for any catering event including birthday parties, buffets and mobile catering vans. 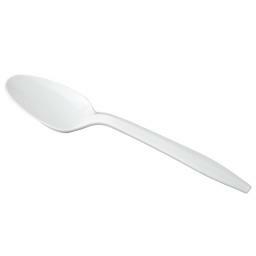 These spoons forks provide you with a sturdy and durable alternative to metal cutlery. 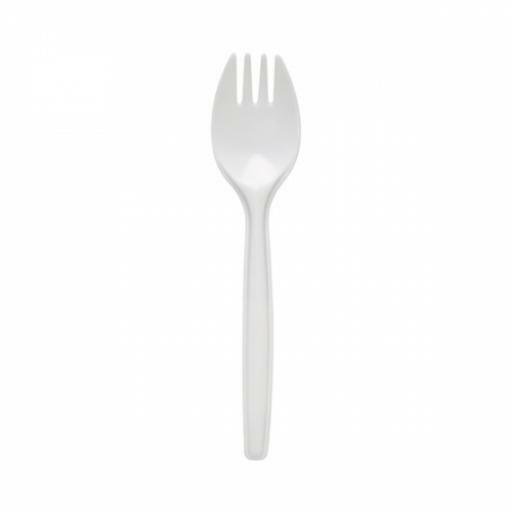 These plastic spoons forks in white can simply be thrown away once they have been used to save on washing up or save your money and give these white plastic spoons forks a wash ready for your next meeting or catering event, ensuring you always have cutlery to hand for any occasion.